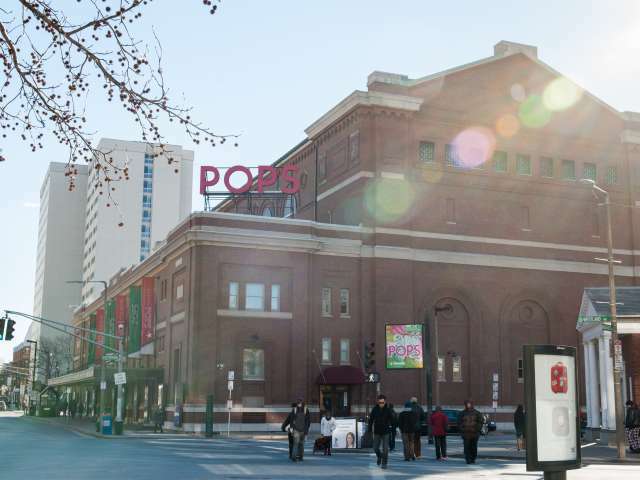 Boston Symphony Hall, home of the Boston Pops and Boston Symphony Orchestra, at the corner of Massachusetts Avenue and Huntington Avenue. 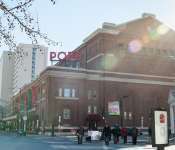 Symphony Hall is widely regarded as one of the top concert halls in the world. The walls of the stage slope inward to help focus the sound. The side balconies are shallow so as not to trap any of the sound, and the recesses of the coffered ceiling, along with the statue-filled niches along the three sides, help to distribute the sound throughout the hall.